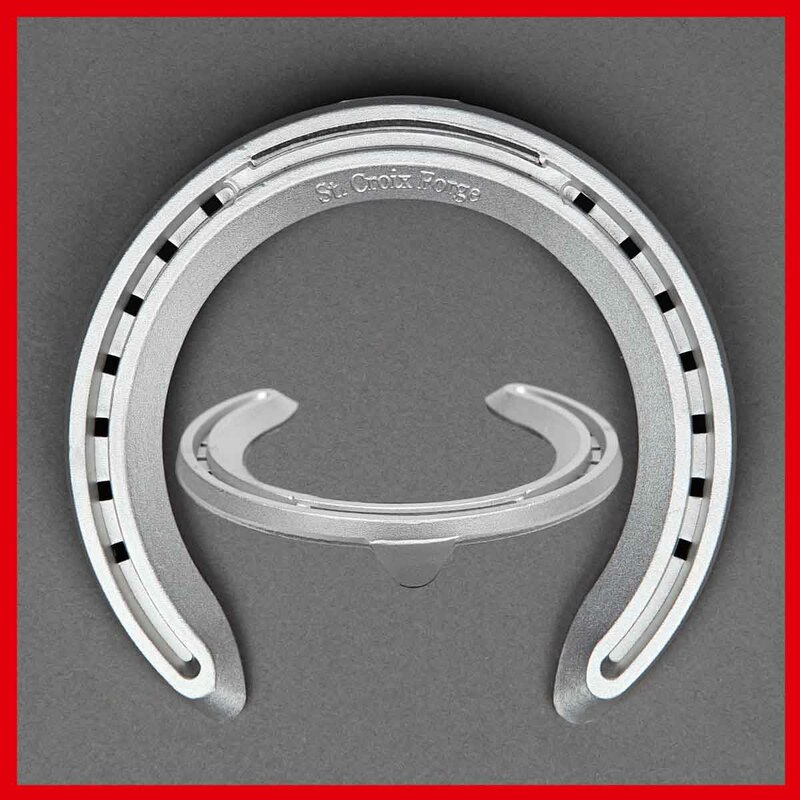 Good thoroughbred shape, easy to work, toe insert ensures good wearability. Easy heel fit, neat clips and precision nail holes, this shoe is exactly the same style and pattern as the steel shoe to allow for ease of changeover. Available in fronts and hinds, toe clipped or unclipped. Sold in boxes of 8 pairs. A well shaped, graduated wedge, easy to work shoe. Toe insert ensures good wearability. Easy heel fit, neat clips and precision nail holes. 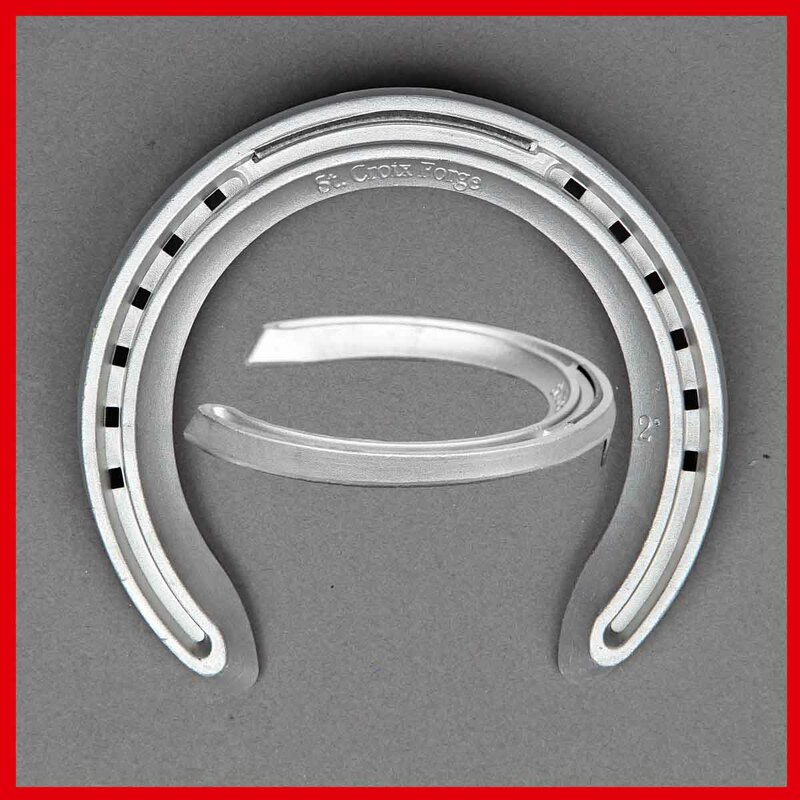 Available toe clipped front or hinds with a 2 degree wedge.